“Legends of the Giant Dinosaurs” Exhibition won the “Gold Prize of Team Award (General Public Service)” under the “Civil Service Outstanding Service Award Scheme 2015”. Since 1999, the Civil Service Bureau has been organising the Civil Service Outstanding Service Award Scheme on a biennial basis. The objectives of the Scheme are to recognise the efforts of departments and teams which provide excellent service, to promote a customer-focused culture in the civil service, and to inspire departments and teams for continuous improvement in the delivery of public services. The popular exhibition "Legends of the Giant Dinosaurs", now being held at the Hong Kong Science Museum, will come to an end on April 9. Those who have not yet visited the exhibition - the largest of its type ever held in Hong Kong - should grab the chance to do so in the coming two weeks. Jurassic World invites you to explore and interact with a group of iconic dinosaurs that come with The Hong Kong Jockey Club Series : ‘Legends of the Giant Dinosaurs’ exhibition. You can acquire the dinosaur information on the spot, and see the virtual dinosaurs roaming around. 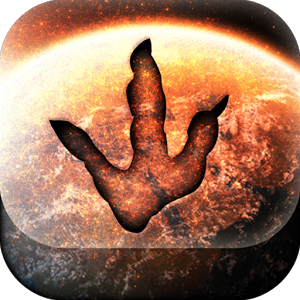 Download the app now to experience the thrill in watching dinosaurs popping out from the screen.